We exist in a world of vibration. The vibrations that make up sound and the vibrations that make up the physical universe are different frequency manifestations of the same energy. Our intimate relationship to sound allows us to use this energy to remind the body and spirit of its source and bring us into harmony with the whole of creation. The Acutonics® system of sound healing forms the foundation for all our work because it allows us to help choreograph the dance of the atoms and molecules to better integrate other therapies (chiropractic, acupuncture) to penetrate more deeply to participate in the healing dance. Our experience in using and teaching this work is that it benefits the one treating as well as those being treated. Using Acutonics®, our healing treatments and educational programs bring harmony and healing to the body, mind and spirit. Healing treatments in our Seattle Washington Center include harmonic medicine, Traditional Chinese Medicine, Chiropractic Medicine, Matrix Energetics and PSYCH-K. We also offer remote personal energy balancing and space and property clearing sessions. Acutonics® classes are certified for continuing education units by the National Commission for the Certification of Acupuncture and Oriental Medicine (NCCAOM) and by National Certification Board for Therapeutic Massage and Bodywork (NCBTMB). You must have attended at least a Level I Matrix Energetics Seminar to come to study group and show proof of attendance (certificate of completion, manual from the seminar, badge from the seminar) to be able to attend Matrix Study Groups. You must preregister to attend because space is currently very limited. Learn how vibration, frequency and resonance affect life experience. 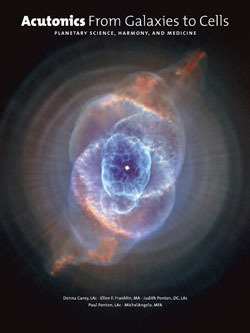 Learn to recognize the vibratory state you inhabit and how it contributes to creation of your material world. Learn how to intentionally shift your frequency to resonate with the reality that you wish to manifest. Our second book has been published as of December 2011. 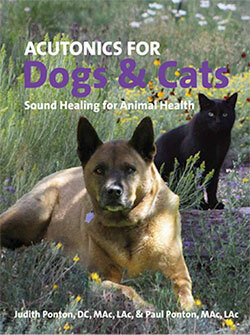 Acutonics For Dogs and Cats, Sound Healing For Animal Health. To order call us at 206-706-2836 $39.95 plus shipping. We have a new shipment of beautiful Tibetan bowls at the office. The meditative sound of these bowls is transporting and transforming. Give us a call (206-706-2836) to set a time to come in and see them. They make unique gifts. Acutonics® is a registered trademark of the Acutonics Institute of Integrative Medicine LLC.